Open colon procedures are some of the most frequently performed procedures within visceral surgery. Besides benign diseases (diverticulitis etc. ), the colorectal carcinoma is one of the most common cancer diseases that can be cured via surgery. The D/A/CH Medical Group offers a broad product range for open colon procedures (Linear Cutter, Linear Stapler, Circular Stapler). 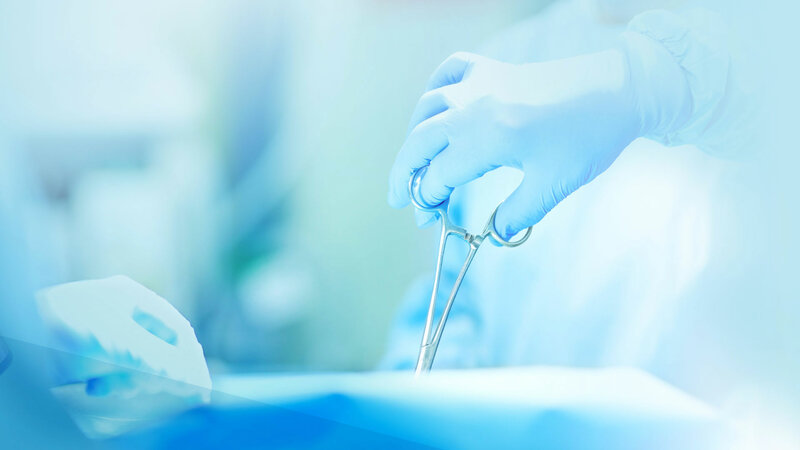 The laparoscopic (minimal-invasive) approach to colon surgery is offered by many hospitals, above all for the treatment of sigma diverticulosis and sigma diverticulitis. The advantage of the laparoscopic bowel resection is the smaller access. Patients can generally resume their normal activities sooner. The D/A/CH Medical Group offers a broad product range for minimal-invasive colon procedures (Trocars, Linear Cutter, Linear Stapler, Circular Stapler).